The number of older Airbnb hosts - or 'empty nesters' - is rising rapidly. People over the age of 60 are the fastest-growing host demographic, according to research from Airbnb, with the numbers increasing 34pc year on year in 2018. There are now more than 3,300 hosts in this age group across Ireland. The reasons given by hosts include wanting to meet people from around the world or earn some supplemental income. Senior hosts in Ireland earned an annual average of €3,000 from hosting travellers from around the world. "Older adults tend to have extra space - typically freed up after their kids have moved out - and opening their homes to guests allows them to earn supplemental income and make more social connections," the company said in a statement. Senior hosts are also reportedly 'the most-loved hosts on Airbnb' with 86pc of trips hosted by seniors resulting in five-star reviews. In addition to hosting, older people (aged 60 and over) also represent the fastest-growing age group of guests. The number of seniors who have booked on Airbnb has grown by 66pc in the past year. The booking site also said it had noticed a growth in multi-generation family travel - where grandparents, parents and children all travel together - which has seen a 104pc year-on-year growth by Irish travellers. Around 1.2 million people travelled in Ireland using the site between November 2016 and November 2017 - with almost 90pc visiting for a holiday or for leisure. "As the travel industry continues to grow, Airbnb promotes a unique, differentiated form of healthy tourism: tourism that is local, authentic, diverse, inclusive, and sustainable," the company said. "Airbnb's form of healthy tourism creates new economic opportunities for hosts in the homes and communities where they live, and for guests to go beyond the traditional hotel districts and experience local, authentic neighbourhoods." 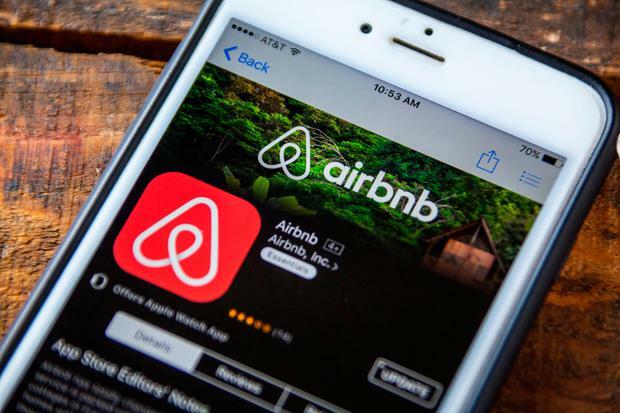 Revenue has written to around 12,000 homeowners to chase up tax liability that might be due, after Airbnb handed over details of its payments to customers during 2014-2016. Income generated from a commercial letting is subject to tax. There was some confusion over the terms of the Rent-A-Room relief, which applies to longer-term lettings, for example to a student for an academic year, whereby you can earn up to €14,000 a year tax free. However, Revenue specifically excludes "short-term lettings through online booking sites", and clarified this in a guidance note last year. Housing Minister Eoghan Murphy is expected to bring a memo to Cabinet in the coming weeks regarding a clampdown on property owners in certain areas using sites such as Airbnb to cash in on short-term lets on a long-term basis. Among the new rules will be a clampdown on Airbnb lets in rent pressure zones, of which there are 21 in the country. It is estimated that stricter regulation in the sector could bring up to 1,000 properties into the rental market in Dublin alone. Taoiseach Leo Varadkar said he had been verbally briefed on the plans and said legislation would be before the Dáil in the next couple of weeks. "It'll still be possible, of course for people to rent out a room in their house on a short-term basis. "But you couldn't be using an apartment or house that you own for long-term Airbnb," Mr Varadkar said.